As one of America’s livestock trading centers in the late 1880s, Buffalo was also packed with meat packers. 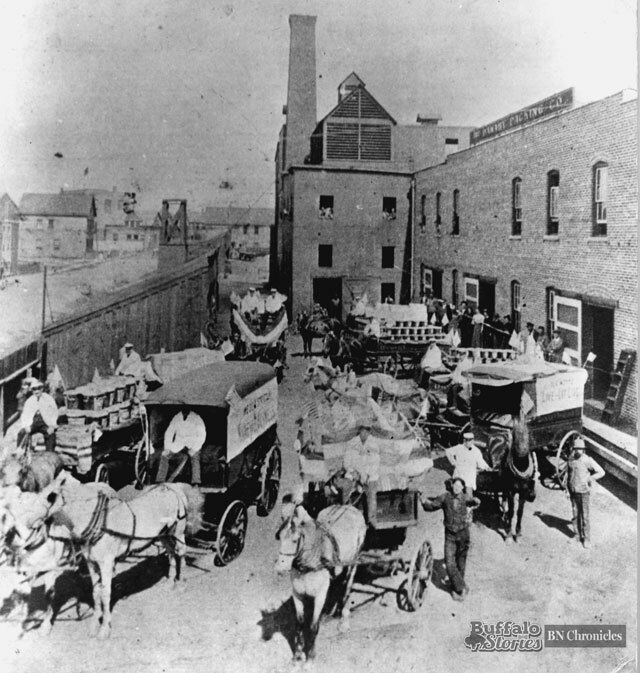 The areas around the Buffalo Stockyards and each of Buffalo’s public markets (Washington/Chippewa, Elk, Broadway, and Clinton/Bailey) had more than an average number of meat-packing businesses. The caption written on the reverse of this photo says that it was taken in the yards of Danahy Packing Co. at Seneca and Smith streets in 1870. Both former locations of Danahy Packing are now a vacant lot.